WELDON SPRING, Mo. -- A family was driven from their suburban St. Louis home by thousands of venomous spiders that fell from the ceiling and oozed from the walls. An expert on brown recluse spiders told CBS affiliate KMOV-TV that the creature's bite can be very serious depending on how much venom is injected. "It's not going to kill you, but it will make you wish you were dead," said Jamal Sandidge with the University of Kansas. Susan Trost told KMOV-TV in 2012 the spiders "started bleeding out of the walls," and at least two pest control companies were unable to eradicate the infestation. At a civil trial in St. Charles County in October 2011, University of Kansas biology professor Jamel Sandidge - considered one of the nation's leading brown recluse researchers - estimated there were between 4,500 and 6,000 spiders in the home. Making matters worse, he said, those calculations were made in the winter when the spiders are least active. 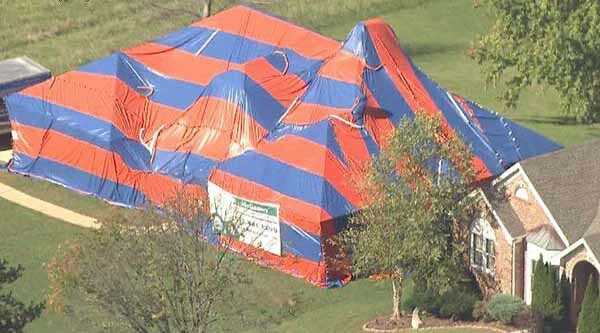 McCarthy told KMOV that said there is a reason why one home may be infested even though nearby homes are not. "Many times people bring them in, you can move from a house that has them. You buy things at an auction, you have furniture in storage, many times brown recluse spiders are carried right into the house," he said.